Brian O'Keefe of Catch Magazine will be at the shop on Sunday, December 12, 2010. Brian has been serious about fly fishing for the past 40 years. During the past 30, cameras have played a significant part in his outdoor lifestyle. At age eight, Brian’s interest in fly fishing was born while spending summers in Montana with his grandparents. There he was taught the art of fly casting and fishing by his grandfather, a dry fly purist. From those first years fishing the waters of the Northwest and Montana, he has spent the majority of his free time fishing and taking advantage of all the outdoors has to offer. On family vacations, Brian would often go off alone to fish a nearby stream. His interest in photography began as a means to back up with pictures, what his family thought might be just “tall tales”. Brian started fishing the world in the fall of 1973. He began with a solo trip through New Zealand and Australia, and a brief trek into the Himalayan Mountains to fish for brown trout. After returning from this two-year adventure, Brian spent his summers guiding in the Northwest and Alaska for trout, salmon and steelhead. During those years he accumulated quite a large collection of slides, occasionally selling one to a flyfishing publication. At age 30, he began his career as a fly fishing tackle rep. Brian is also an accomplished fly caster, earning the title of Master Certified Fly Casting Instructor from the Fly Fishing Federation (FFF). He has also placed in, and won many fly casting competitions. Brian has traveled to some of the wildest and most remote angling destinations in the world, including: Bikini Atoll, the Seychelles, Kenya, Sierra Leone, Tonga, Cuba and Kashmir. He has also traveled to more accessible locations, such as: the Bahamas, Belize, Costa Rica, Nicaragua, Venezuela, Chile, New Zealand, Christmas Island and more. In many of these locations he again chooses to venture off the beaten path, hiking, floating, sea-kayaking or taking a Zodiac into the backcountry. Brian lives with his wife and fishing partner, Judith in Powell Butte, Oregon and continues to work as an angling and outdoor photographer, having had photographs published in periodicals such as: the Los Angeles Times; the New York Times; the Miami Herald; USA Today and many others. He has had cover shots in: Field & Stream; Outdoor Life; Fly Fisherman; Fly, Rod and Reel; Fly Fishing Salt Waters; Fly and Fish Magazine; Outside Magazine and Mens Journal. In addition to photography, Today, you could just as easily run into Brian on his way to a slide show presentation at your local fly fishing club, as you could in an airport on his way to some island in the Pacific. 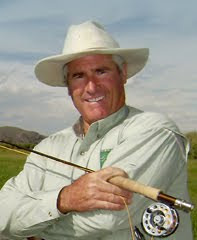 Longtime Sierra Pacific and Federation member and superb fly fishing teacher Robert “Kazy” Kazahaya has passed away after his battle with cancer. It is unfortunate and heartbreaking that his affectionate boxer dog, Lucy, needs a home. home where she is the only dog. The letter below from my contact, Don Causey, at Global Rescue illustrates the need for the services they provide world wide. Something to consider if you are traveling to remote areas for fishing or other recreational pursuits. As this issue of your bulletin is being written, Global Rescue is handling another medical emergency for a member of the hunting community. As more and more hunters and fishermen sign up for memberships, the number of evacuations we perform for those that face medical emergencies continues to grow. The latest incident occurred in Namibia late last month, where an American hunter, a member of Safari Club International and Dallas Safari Club, was bitten on the foot by an Angolan cobra (Naja annulifera anchietae) that delivered what could have been a fatal dose of venom. 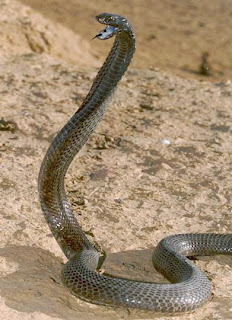 The Professional Hunter killed the cobra and rushed the hunter to a local hospital where he was administered an anti-venom. To save his lower leg, physicians performed emergency surgery that completely removed the skin from the top of the man's foot. This was necessary in order to prevent severe, life-threatening blood infections. At the conclusion of surgery, an attempt was made to graft replacement tissue to the wound. After a thorough review of the medical records and images performed in conjunction with local physicians, it was determined the efforts to re-graft the skin had been unsuccessful. Global Rescue's medical team and Johns Hopkins specialists agreed that his foot should be operated on in the United States. He was immediately flown to Washington, D.C., via Amsterdam. Global Rescue even secured the necessary permits to have the member's hunting rifle transferred in Amsterdam and cleared for carriage with him all the way home. Once in Virginia, the skin on the hunter's foot was re-grafted to allow him to recuperate in his home hospital of choice. This story, I think you will agree, points up the depth and sophistication of the Global Rescue operation. No medical evacuation firm in the world can perform like we do. Senior Advisor to Global Rescue"
We just marked down a boat load of products to make room for all the new goodies that will be arriving soon. Now is the time, if you are looking for a great price on clothing, rods, reels and lines. Stop by and check out the deals. Note: some of the products have shop worn packaging but the item itself is in as new condition. All products are limited to stock on hand. For many years my partner Steve & I have made an annual trek up Hwy 395 to the Eastern Sierra Nevada. The beauty of the area never ceases to please the eye and the prospects of fine fishing, old friends and good food outweigh the drudgery of the 4 1/2 hour drive. This year the weather and the fish gods were in alignment and our trip was a rousing success. Our first day was spent with the ever energetic David D'Beaupre from Sierra Trout Magnet fishing the wild trout section of the lower Owens River. After a long summer of high flows, over 500 CFS, the stream was running clear and flows were a manageable 250 CFS and the trout proved willing on small 18-20 baetis nymphs. Although I had fished the Lower O. many times before David showed me a few new spots and we must have been having fun because the time flew by. The rest of the week was spent with a group of old friends at Hot Creek Ranch and the Baetis hatch was in full swing. Each day, beginning at around 10:30 a.m., the wild residents of this world famous creek began rising to a robust hatch of BWO aka. Baetis. Below is a slide show with pictures of some of the trout we caught and the sights we enjoyed. EnJoy!